Immaculata University and the Office of Catholic Education of the Archdiocese of Philadelphia (OCE) have entered into an agreement that guarantees admission to Immaculata for qualifying students graduating from all 17 Archdiocesan high schools. To recognize the academic accomplishments of these graduates, Immaculata will provide, at minimum, a $9,000 academic merit scholarship for qualifying students. “This landmark agreement with the Archdiocese of Philadelphia’s Secondary schools provides a clear pathway for students to have access to an affordable quality education,” states Barbara Lettiere ’72, President of Immaculata University. The guaranteed admission program and the merit scholarship are effective for students entering in Fall 2019 and Fall 2020. Students must be admitted as full-time, first-time students with a GPA of at least 2.5, combined SAT score of 990, and satisfy other application requirements. The merit scholarship, worth a minimum of $9,000, is renewable for three additional consecutive years of full-time status provided a benchmark GPA is maintained. Archdiocesan students who earn a higher GPA may qualify for additional merit-based aid in the form of a Catholic School Grant that provides a further $2,000 in financial aid. “The Office of Catholic Education is grateful to Immaculata University for recognizing graduates of the Secondary Schools of the Archdiocese of Philadelphia with this opportunity. The agreement helps to support Catholic education as a K-16 experience for our young people,” said Sister Maureen Lawrence McDermott, IHM, Ph.D., Chief Academic Officer and Superintendent of Secondary Schools for the Archdiocese of Philadelphia. Thirty-eight percent of Immaculata’s undergraduate, traditional-aged students graduate from Catholic high schools. The new agreement between Immaculata and OCE is a testament to the commitment from both institutions to provide access and opportunity for a quality education. 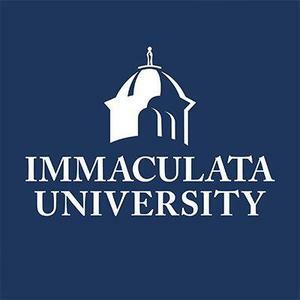 Editor’s Note: Immaculata is a Catholic, coeducational institution of higher learning. Established by the Sisters, Servants of the Immaculate Heart of Mary (IHM), Immaculata has been providing a quality education to students since 1920. The University offers academic programs at the associate, baccalaureate, master’s, and doctoral levels. Additionally, Immaculata offers 23 NCAA Division III varsity sports to student-athletes. For additional information regarding the agreement between Immaculata and OCE, please visit www.immaculata.edu. For information about Catholic schools in the Archdiocese of Philadelphia, please visit www.aopcatholicschools.org.